I dropped the ball on Man-Up yesterday…so sue me. But never fear, today you get your twofer! 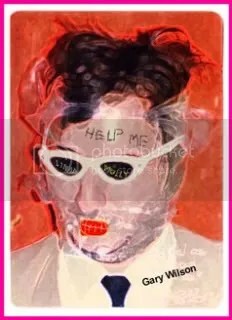 What’s up with experimental musician/performance artist and (would be) ladies’ man, GARY WILSON. Well, that sounds right up my alley…only the story isn’t totally true. Steely Dan has never been mentioned in anything I’ve read about Gary. Come on, Karen, give the poor guy a break…he loves you. Jeeze, Linda, why did you have have to write that note to Gary’s parents? He’s not bothering you…he loves you. What’d ya’ think? 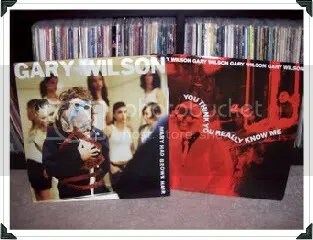 If you liked it, you should really pick up some of his music…I suggest starting with YOU THINK… Plexifilm just recently reissued it on cd along with a dvd documentary about Gary! Oh, here are my records. the chorus on “Linda” reminds me of Comus. You ever hear Comus? The whole thing reminds of Joe Spinell/Mr. Robbie from MANIAC, cystic acne, and someone going through you mail and stealing your girlfriend’s underwear at the laundromat. Those last two happened to me. I think you’ve mentioned Comus before, but I haven’t checked ’em out. I made a video for Comus on youtube. “You Think You Really Know Me” is one of Myrtle favorite albums! “6.4=Make Out” is always bumped when I trying to put the smoove moves on some geeky dude. “Forgotten Lovers” is great too, with “Soul Travel” being the tightest jam on there. Myrtle saw him perform at Amoeba – it was aight…..